You've probably seen stop motion animation but you've never realised it. "If you must blink, do it now. Pay careful attention to everything you see, and hear. No matter how unusual it may seem." The movie's cold opening is an introduction not only to the movie, but also the perfect allegory to the process of making Kubo and the Two Strings. Looking at the trailer and the pictures, you wouldn't believe that every character you see is an actual puppet, moved frame by frame by a physical person, and captured on camera over five years of production. If you've never heard of stop motion animation, this movie will introduce you to the painstaking craft. Every strand of hair blowing in the wind has to be moved by puppeteers and a good animator can only get three to four seconds of film in a week. One week! That's only 3.5 minutes of film in a year! We're going to assume that there are a few teams working on different scenes in one week. Not only is it a technical marvel, it's a movie with a lot of heart. It's a fable set in Japan and it borrows heavily from its culture. The spirit world is alive and well in Kubo and the idea of deities and their interactions with the human world is explored to great lengths in its story. It's a samurai's tale at heart and is a fantasy epic in its execution. To tell you more would do the story a disservice. Dive head long into the fable and enjoy its every nuance yourself. 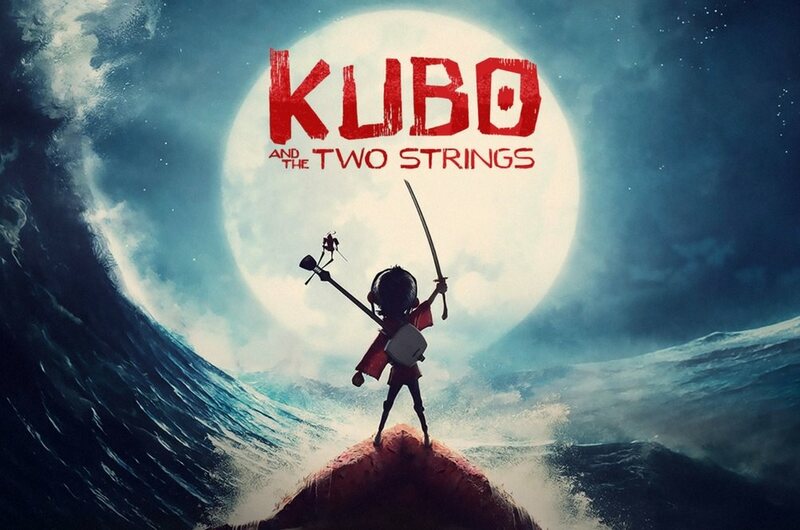 We cannot sing its praises enough, go out and watch Kubo and the Two Strings. Remember, don't blink, and just when you think "This can't be stop motion" think again, no matter how unusual it may seem.